We don’t take food safety seriously, so you can. 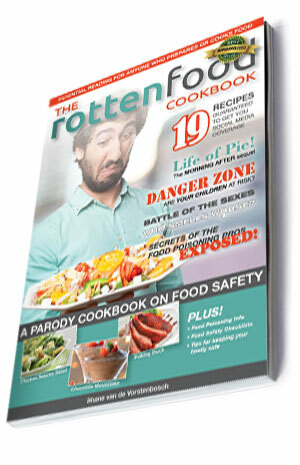 The Rotten Food Cookbook is a parody cookbook that mixes recipes with disasters and then provides tips on how to avoid the problems. Thanks for the book Shane. I don't know if your book is helpful or terrifying! Imagine having the secret to instant social media coverage. Imagine such fame that the local media cannot help but take notice. Imagine having the TV stations knocking on your door desperate to talk to you. Imagine no more. 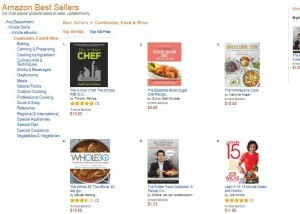 With these awesome disgustation recipes you will have business repeating like never before. Customers will be telling the world of the experience they had. They won’t be able to hold it in. These are big promises, but experience has shown it only takes one day to take a restaurant from obscurity to the leading story on the national news. It only takes one dish to take apathetic customers to the Facebook equivalent of a lynching mob. The secret is to serve rotten food onto their plate. In this book I show you some quick and easy ways to turn a harmless meal into a business-crushing force not to be reckoned with. From Oysters KilledPatrick to Chicken Seizure Salad to Chocolate Moustake, and finishing with EggBog we have the entire meal covered. It’s one thing to laugh at Salmon Ella, but we back it up with a sprinkling of facts. The temperature poster is a simple reminder of the critical temperatures. Need a FREE A4 laminated version, just ask us. A quick check list will help you see how you stack up, or if you will leave your customers gagging. Our goal was to be a small prod, not a huge hammer. Links take you some great resources while allowing us to keep the book short and sweet. Why buy just one? This is the ideal gift for staff!